Free Downloads tiny.cc/freesongs Booking: Dennis.Raz@Next-Level-Agency.com / booking@axammusic.com Management: mgmt@axammusic.com Press: press@axammusic.com Promo: promo@axammusic.com Axam Biography: After many of successful performances in his home country, AXAM has already made a name for himself with his fabulous remixes that got a lot of attention from many people across the globe! Let take it backward for a bit, Youness Tauil Salmani (Born 04 June 1993), better known by his stage name AXAM, is a Moroccan DJ, record producer, remixer, and composer. 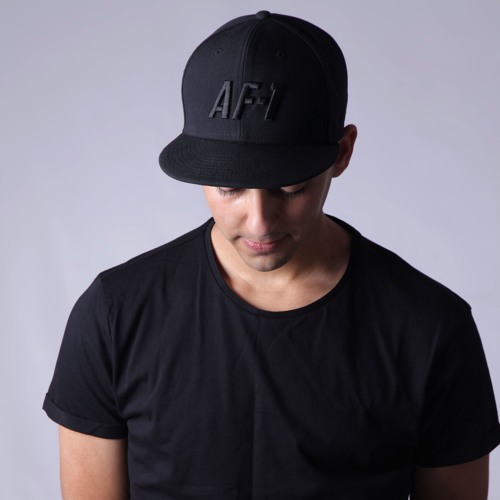 In his first year of high school in 2010, Youness got his passion from Tiesto's Power mix video from Youtube and that inspired him to became a DJ and inspired him to be more interested in getting to know more about other DJs and their popular songs. After some couple months Youness decided to create and play on his first small event with his friend who got his passion into DJing too! As time passing he decided to take it more further to music production and producing his own music, and that wasn't easy on him! at that time there was no Youtube tutorials and no online courses and not just that! to be an Electronic Dance Music producer in a 3rd world country that has no culture for Electronic Dance Music is like killing your career. However he took his adventure and with time he started to understand studio work and finally made his first record ‘Feel the pluck’ under the name UNES T which got released in March 2013 on Housevisions records ‘Label based in Vienna, Austria’. At same time AXAM ‘Known as UNES T at that time’ started to get more popular by his small events and his DJ name. From small events got himself into playing in some of the biggest venues in his hometown. After couple months he released his second song ‘Pur Progress’ again in housevisions records, and he started to spread his DJ name more further by playing more gigs outside his city. From that moment he started to play across his country ‘Morocco’ and he started to release more music on labels such as Pop Rox Muzik ‘Label based in Los Angeles,CA’. Also he released his first official remix of a song called ‘Feel The Beat’ produced by the famous Italian DJ ‘Luca Testa’ (Remix released, December 2013 on Pop Rox Muzik). After many of successful releases between 2013 and 2016. AXAM ‘Known as UNES T at that time’ decided to spread his DJ name more further to the world, by taking a break from playing gigs and spending all his time in his bedroom studio, remixing popular edm songs from Djs and artists such as DJ Snake-David Guetta-Afrojack-Nicki Minaj and more...Since 2016 AXAM ‘Known as UNES T at that time’ got ranked N’1 DJ in Morocco, and his music got played by many of the best DJs in the world, plus that his social media got increased very fast as well as his music platform sites such as Soundcloud. However AXAM ‘Known as UNES T at that time’ decided to spend all his time 24/7 more on online courses, making more music, and planning on his future identity which is ‘AXAM’. After many of many of many hours of studying music business and music production/music composing/sound engineering and sound design, and many hours in the studio. The DJ/producer/composer/remixer signed to ‘Next Level Agency’ is back and he is about to present his new identity ‘AXAM’ with his first release ‘Shevannai’. Not just that! He is gonne drop new remix every 2 weeks of many of the best DJs and Artists in the world such as Axwell Ingrosso-Marshmello-Alan Walker-Selena Gomez-Justin Bieber etc…and ofcourse there is so many other original releases and surprises!